Affordable Mobile Services – Accepted by Most Insurance Companies! Piedmont Dent Repair remains the most reliable source in Shelby, North Carolina for paintless dent removal services. Our company has years of experience providing auto repairs with a satisfaction guarantee for our work. If you become involved in a minor accident or your vehicle has become the victim of hail damage, our staff can perform paintless dent repair to get your vehicle back to its original condition. An auto repair service doesn’t have to take days or tie up your vehicle and the body shop over extended hours. Most modern paintless dent removal techniques can be performed even using a mobile setup. Our skilled technicians can remove a wide range of dents from almost any type of vehicle. As long as the paint is still preserved in the area of the dent it may qualify for our procedure. We can come out and perform mobile dent repair in Shelby, NC. This is where we arrive at your location and provide you with an on-site quote for the removal process. Performing any small vehicle body repairs at your place of work or at home can be an extremely convenient way to handle your bodywork. If you have been on the search for a “mobile dent repair near me” in the Shelby area, we are a group of highly skilled technicians that can perform repairs under a completely free estimate. 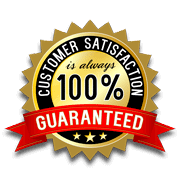 We offer a 100% satisfaction guarantee on any service. We can perform a wide range of dent repair services from fixing up hail damage to quick repairs after minor accidents. With our fast, efficient mobile services, you’ll be back into a pristine looking vehicle in no time! Contact us today to learn more about painless dent repair in Charlotte, NC.